As the 2008 baseball season comes to a close for many teams today, there have been some interesting firsts, same storylines, and sad endings. 2. Francisco Rodriguez shatters saves record – Rodriguez shatters Bobby Thigpen’s single season saves record of 57 from 17 years ago. His 62 saves is the first time a reliever broke 60 saves in one season. Both were 26 years old. However, Rodriguez had 7 blown saves this season (compared to Mariano Rivera’s one). He could have had close to 70 saves had he been more consistent. 3. 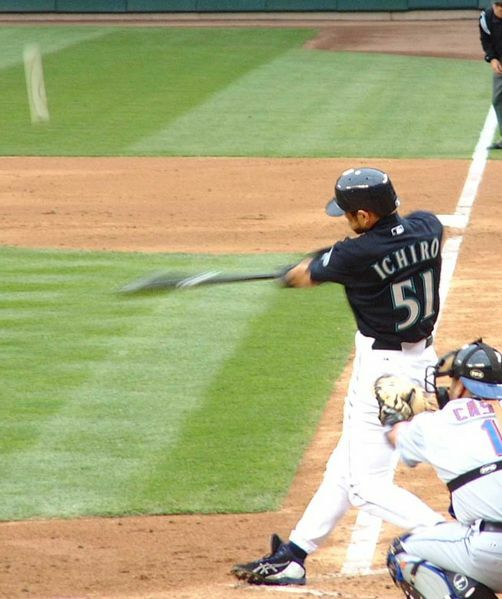 Ichiro and A-Rod reach baseball milestones – Ichiro Suzuki became the first player in over a century to have eight consecutive 200-hit seasons. Meanwhile, A-Rod became the first player to record at least 35 homers in a season for 11 straight years. He also tied Babe Ruth with 12 career seasons of having over 35 homers. 4. Instant replay – Near the end of the season, MLB decided to install instant replay for questionable home run calls. It has been used several times since, and has been involved in overturning calls on the field. 1. Joe Torre makes playoffs for the 13th consecutive year – After leading the Yankees to 12 straight postseason appearances in 12 years as their manager from 1996-2007, Torre was let go and signed with the Dodgers. He led them to the NL West Title in September. 2. Yankees continue winning ways – Although the Yankees did not make the playoffs for the first time in 13 years, some of their winning streaks continued. They now have 17 consecutive seasons with over 75+ wins (for strike shortened 1994 and 1995 seasons a winning percentage of .460 was used) and 16 consecutive seasons with a winning record; both major league bests. 3. Red Sox continue winning ways – Although the Red Sox haven’t been as prolific and consistent at making the playoffs due to the dominance of their division rival Yankees, they have put up consistently winning seasons. 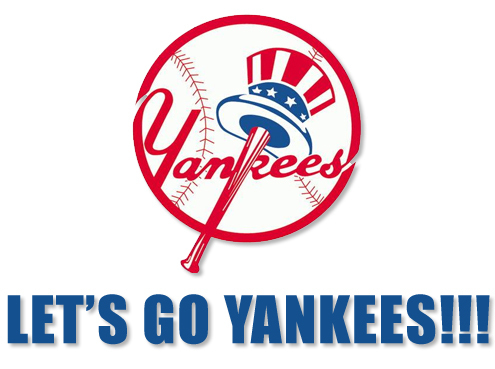 They are second to the Yankees in consecutive winning seasons with 75+ wins (16) and a winning record (11). Can this be reused for 2008? 4. Mets continue their late-season futility – Although the Mets have had success the past 9 years, they continually show futility at the most important times of each season. 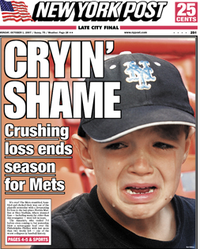 Besides losing the Subway Series to their crosstown rival Yankees in 2000, they also lost in the playoffs in 2006. However, the past two seasons have been most depressing. In 2007, the Mets had a 7 game NL East division lead with 17 games left to play. They proceeded to lose 12 of their final 17 games to lose the title to the Phillies and miss the playoffs. By some measures, it is considered the second worst collapse in baseball history. The 2008 season is seeing a smaller collapse. Having a 3.5 game lead against the Phillies for the division title again with 17 games to go, the Mets won only 7 of their next 17, while the Phils won 12 of their next 15. The Phillies clinched the division once again. To make matters worse, the Mets lost their final game while the Brewers win their last one to grab the wild-card and leave the Mets out of the playoffs once again. 5. 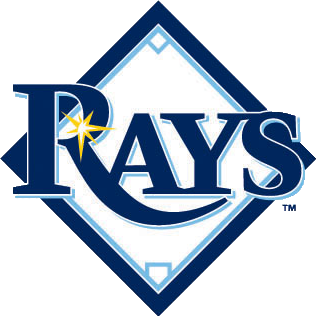 Small market teams continue losing ways – Besides the Rays, most small market teams continued their non-playoff appearances. The Montreal Expos – Washington Nationals have a major league leading 27 consecutive seasons without a postseason appearance. The Brewers in second with 25 consecutive seasons ended that drought with a win today and a Mets loss to grab the wild card berth. The Royals (23), Pirates (16), Blue Jays (15), Reds (13) and Orioles (11) all continue their futility. 6. Another season, another surprise team or two – This year the Tampa Rays and Brewers have been the surprise teams. 2007 saw the Indians and Diamondbacks. 2006 were the Twins and Athletics. 2005 were the White Sox and Braves. 2004 was the Dodgers. 2003 was the Marlins. And 2002 saw the Expos do relatively well. 1. Yankees miss the playoffs for first time in 13 years – Ever since the Yankees became the first AL wild card team to make the playoffs in 1995, they have not missed it until this year. In those 13 years of postseason play, they won 4 World Championships, 6 AL Pennants, 10 AL East titles and 3 Wild Card berths. They had a combined record of 1252 – 832; a MLB best .594 winning percentage. They had 3 no-hitters, of which 2 were perfect games. They had one Rookie of the Year, two Manager of the Year, one Cy Young, one Comeback Player of the Year, and two Most Valuable Player of the Year awards in that time span. 2. 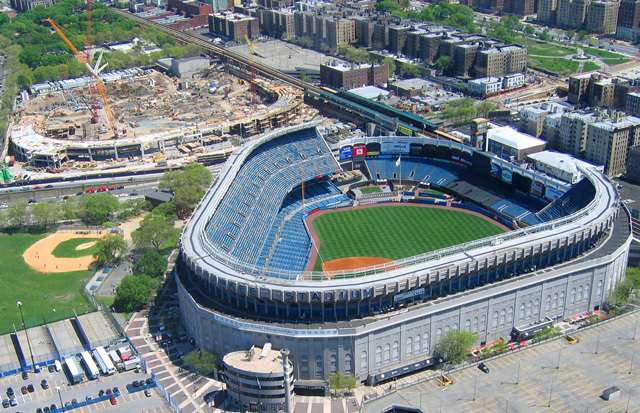 Two stadiums come to a close – Both the Yankees and Mets will be playing in new stadiums to start the 2009 season. Although most people are happy Shea Stadium is being torn down, the demise of Yankee Stadium and its rich history is more symbolic. 1. Too many injuries – All the talk last year about Joe Girardi working his young pitchers in Florida too hard and doing too many exercises during practices seems to have the same ill effect on the Yankees. All three of the promising young pitchers have lost serious time due to injuries. Their underrated ace, Chien-Ming Wang was done relatively early in the season. For someone who gave the Yankees 19 wins each of the past two seasons, it was a big blow when he was lost for the season at 8-2. Imagine if the Yankees had 7 or 8 more wins right now. They would be right where Boston is, and fighting for first place, let alone, the wild card. Don’t forget losing Jorge Posada for the season. And missed times for Hideki Matsui, Derek Jeter, Alex Rodriguez, Johnny Damon and Brian Bruney. Hard to build any sense of hope or team when key people keep going down. 2. Where are the young pitchers?? – Philip Hughes, Ian Kennedy and Joba Chamberlain all lost significant time to injury. Aren’t injuries a problem for the old players and not the young ones? The first two had a combined 0-8 record with 8.17 and 9.00 ERAs (no need to differentiate the two). Both of their WHIPs hovered around 2.00! Hughes came back but was sent to the minor leagues. He will be playing in the Arizona Fall League. Remember when people were afraid that he would pitch too many innings this year? Now they have to give him extra innings. Kennedy came back and pitched great in the minors, was brought back up to the majors and did horrible. Now he’s stuck in the minors for good. That doesn’t bode well for him in the future, as he can’t seem to make the next step to the majors. 3. What happened to the young hitters?? – The next wave of young Yankee farmhands to take over for the last wave of Yankee stars (Jeter, Rivera, Bernie, Posada, Pettitte) have hit some major bumps. As mentioned, Wang and the three young ‘uns were ineffective or injured this year. But, the two young ones that didn’t get injured have dramatically underperformed. Robinson Cano, who was rewarded with a major contract in the offseason, has been completely skittish and lost at the plate this year. He is a notoriously slow starter, but his second half has been just as pathetic. He is batting 39 points lower than his career average (.263 to .302). He is projected to have 67 runs and 68 RBIs, which compared to last year, 93 runs and 97 RBIs, puts him on the same footing as the typical second baseman, and definitely not top tier. His OBP is now below .300! According to some veterans, Cano is feeling the pressure of the new contract. This pressure will only grow until he plays well. The other player, Melky Cabrera, is not so much a surprise, but a disappointment nonetheless. Cabrera has been slowly regressing since the summer of 2006. It is apparent that his nice first half of the season in 2006 was the anomaly, and not last year. Without much pressure on him the past two years to perform, his true self shows someone without any batting instincts. His above average fielding is not enough for an important position like centerfield. He has since been demoted to the minors, and who knows when we’ll see him again. Oh yah, remember Shelley Duncan? The little cult hero was gone after a month into the season. I never found him that impressive to begin with. To me, a cult hero is Kevin Maas or Shane Spencer. 4. Midseason trades don’t pay off – Ever since the Yankees traded for David Justice that one year, Yankee fans have looked to the midseason trades for that extra boost to reach the playoffs. A couple of seasons have yielded nice trades, such as Bobby Abreu and Ruben Sierra. This year’s trades have not panned out, not the fault of the Yankees. Getting rid of Kyle Farnsworth, a target of the boo-birds was worth the risk in return for perennial All-Star Ivan Rodriguez. Even though Rodriguez was on the downside of his career, he was a much better choice than Chad Moeller or Jose Molina. At the time of the trade, the Yankee bullpen was one of the best in the league. However, since then the bullpen has regressed dramatically. Both Veras and Ramirez have been ineffective. And Pudge is a lousy .218 with three RBIs in 27 games. The other trade brought back Xavier Nady and Damaso Marte. I personally thought they gave up too much. Nady had a torrid start with the Yankees, but has since slowed down. He has batted .280, with 10 homers and 29 RBIs in 41 games. However, Marte has been a complete bust. There’s something with mid-relievers that come to the Yankees. They always do horrible. Marte was a respectable 3.47 with the Pirates, but has since been a horrible 6.75 with the Yankees. 5. Underperforming offense – As easy as it is to blame it on injuries and what not, the veterans on this team seem to be playing with no enthusiasm, fun or results. This will only be the second time in Jeter’s career that he will have an OBP less than .370, and an OPS less than .790. He is also on track to have his first non-100 run season (except his injured 2003 season). It’s hard to say A-Rod is underperforming, considering he still has respectable stats, but compared to last year and his new contract, it’s fair for the fans to expect more. His situational hitting is horrendous and his label of worst clutch hitter continues. Of his 33 homers, 22 are solo. With the bases loaded, he is batting .231 with no homers. During close and late games, he is batting .266 with only two homers. Overall, with runners in scoring position, he is batting .264 with six homers. 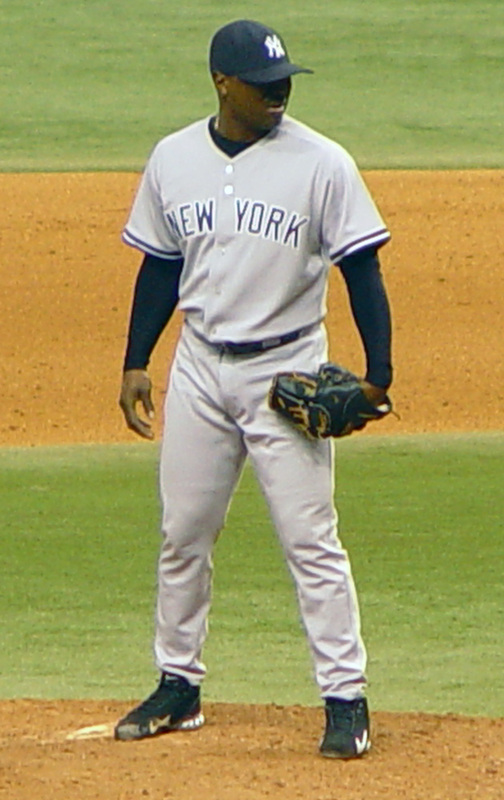 Without the supporting cast of Matsui, Cano, Cabrera, and Posada, the left side of the infield has been unable to carry the team. 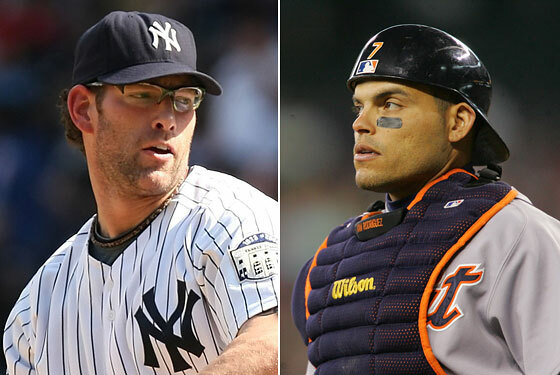 As a positive, Johnny Damon, Jason Giambi and Bobby Abreu all are playing respectable. Even Matsui and his limited playing time. However, Abreu’s OBP of .371 is still far below his trademark .400. The Yankees offense was expected to be their cornerstone again. 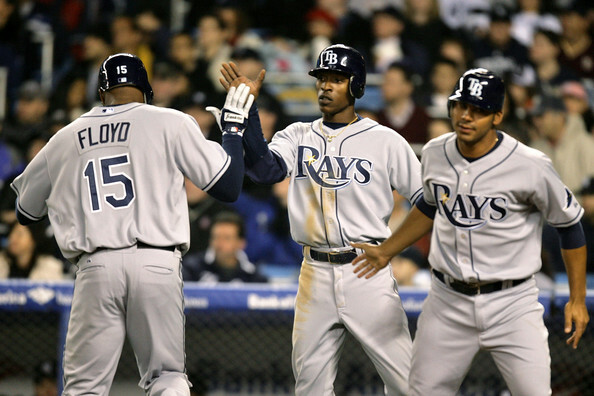 Instead they find themselves 7th out of the 14 teams in the AL, with 695 runs (as of 9/9/08). Their usually strong OPS is now a middling sixth. Additionally, they are 8th in doubles, 5th in homers, and 8th in walks. It’s also interesting that the only major imports by the Yanks in the offseason were Hawkins and Ensberg, both of whom have been released. I actually thought their re-signings of A-Rod, Rivera and Posada were neutral to risky to downright stupid, respectively. After the whole fiasco with A-Rod opting out, everyone thought the Yankees would get some concessions from him, but almost none at all. They still gave him a $270million dollar 10 year contract with an additional $30 million in possible bonuses. Wasn’t this what he was going to get anyways? A-Rod apparently has issues with clutch situations. It is also becoming clear he doesn’t have the persona to carry the Yanks to a championship. As good as Rivera is, giving him a multi-year contract at his age was risky. However, he has proven to be dominant this year. Giving Posada an expensive four-year contract without much competition from other teams was extreme loyalty bordering on stupidity. Catchers just don’t last that long. Predictably, Posada was lost for the season. Who knows how much catching he has left in him. 6. 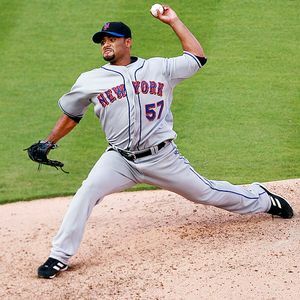 No Johan Santana – As much as the new signings didn’t help the Yankees, the major non-signing or trade was also significant. By not trading for Santana with the Twins, the Yankees lost the dominant ace they needed this year. He would have kept the Yankees in the playoff race with the rash of injuries they have had. However, I still think the Yankees made the right move. Everyone knew that Santana would be good this year, but to give up so many prospects and over $100 million dollars for 1 or 2 dominant years, to me is not good business. Unless Santana plays well for most of his contract, I believe the Yankees made the right move long-term. It still does not stop the fact that he would have tremendously helped the Yanks this year. 7. Other teams are better – Credit must be given where credit is due. Tampa is definitely a better team this year. Either they are overachieving or finally reaping its rewards, it is no fluke. We are into mid-September and they continue to be in first place. Coupled with a resurgent Blue Jays, and the Yankees have fallen to fourth place. The Yankees are only 31-29 against their division this year. Last year they were 39-33 and in 2006 they were 46-28! Don’t forget the White Sox and Twins playing well this year. They are surprises as well. The Yankees are only 18-18 against Central teams this year, whereas they were 30-11 last year! 8. Joe Girardi – Finally, it’s hard not to fault the manager when a team won’t be making the playoffs for the first time in over 14 years. I disagree with Joe Torre and some others that the Yankees never need motivation (such as team meetings and pep talks) because they are veterans and professionals. It was apparent in many games this year that the Yankees played listlessly and without emotion. A manager can make that difference and instill a sense of fight. Girardi doesn’t seem to be making his own identity this year. His moves have been predictable and sometimes too conservative. What happened to the Girardi we heard about or the one with the Marlins? It’s almost as if he’s afraid to manage a lot of veterans and players he’s played with before. Instead he has been a nice little manager, with too optimistic post-game interviews. He has also obviously falsified his knowledge about Yankee injuries during interviews. 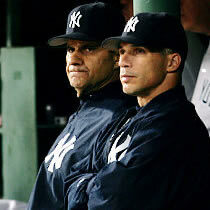 The reason they chose Girardi over Mattingly was the hands-on motivating approach. I actually feel like the Yankees got more conservative and boring with Girardi. 9. Hank Steinbrenner – Ok, I’ll give you a couple bonus ones. Hank talks too much. He doesn’t seem that baseball savvy. Just a bunch of hogwash. I guess if you are rich, you can say what you want and people will listen to you. But from what I read, his brother Hal and sister Jennifer are actually more involved with the Yankees than he is. He just talks a lot. 10. Lackadaisical Last Season at Old Yankee Stadium – I think us Yankee fans expected more in this last season at the old Yankee Stadium. Maybe a final and 27th World Championship to mark Babe Ruth and the 1927 Yankees. Maybe some nice promotions and star days to mark the history of the players that have played there. Instead all we have witnessed is the countdown in the outfield and the MLB sponsored All-Star game. It has been somewhat anti-climactic. It’s hard to close the 2008 season and look towards the Yankees prospects in 2009 because the Yankees have made the playoffs every year since 1995. 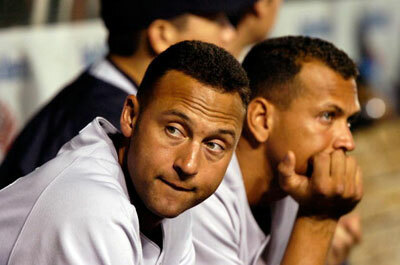 However, if we do dare, the 2009 Yankees now have a lot of question marks. With most of the major-league young players taking major steps back, we won’t know what we will get from them and potential farmhands next year. How will Hughes be? Is Joba going back into the rotation and will he be as dominant? How will Wang be after injury? Will Cano bounce back? It seems like Cabrera and Kennedy will not be in the plans next year. Not too many other impact prospects on the horizon. Is Austin Jackson ready for the majors? What do you do with Mussina? As great as his season has been, it looks like he will once again miss a 20-game win season, unless he wins his last three starts. Even though he’s 2-1 in his last 3 decisions, he has also had three no-decisions and his ERA has risen from 3.27 to 3.48. What do they do if they don’t get CC Sabathia? Rumors are that he prefers the west coast near his family. With the core veterans getting another year older (Jeter, A-Rod, Damon, Posada, Matsui are all in their mid-thirties), who do they sign in the free agent market? Even the two players who did well this year, Abreu and Giambi are free-agents, but also in their mid-thirties. The Yankees announced this week that Girardi will be back as manager next year; in essence blaming this season on injuries. However, one can’t help but miss Torre a bit. Seems like something is missing this year without him. Torre was always good at talking to the media and calming things down at disappointing performances. That doesn’t seem to be the case with Girardi. This off-season will be very interesting. As tens of millions of dollars come off the books (Giambi, Abreu, Pavano, Mussina are free-agents) this offseason and next offseason (Damon and Matsui come off the books), many new faces will be opening with the new stadium.